Evolution Series | ProMinent Fluid Controls, Inc. 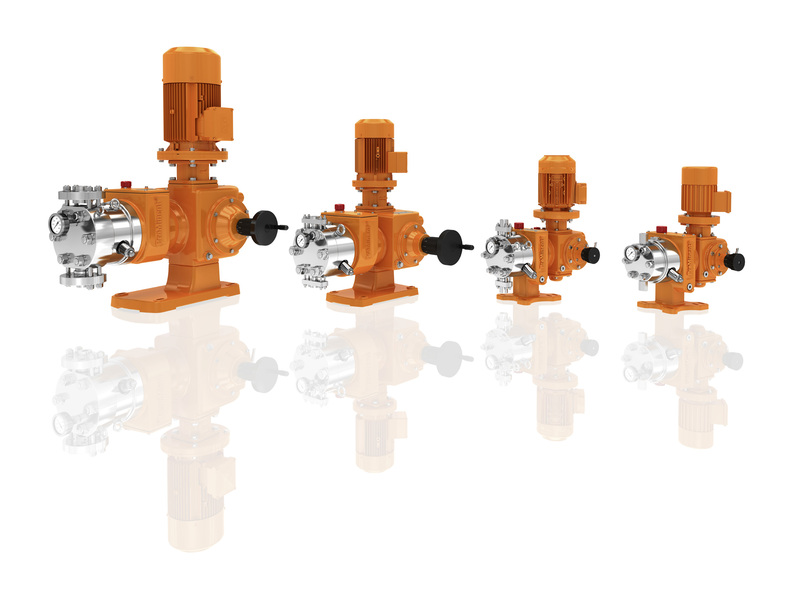 The ProMinent® Evolution Series pumps are API 675, 3rd Edition compliant and meet the most exacting safety requirements as an extremely robust hydraulic diaphragm metering pump design. Importnat Note: The data in the tables is an abridged version of the available product range. Contact ProMinent if specific capacities are needed for your application. * Capacities are based on operating pressures up to 1500 psig. Derate flow 0.5% for each 100 psig over 1500 psig. ** Motor horsepower is based on maximum flow rate at 1500 psig discharge pressure. For pressures above 1500 psig or flows lower than the maximum, consult the factory for horsepower required. Important Note: The data in the tables is an abridged version of the available product range. Contact ProMinent if specific capacities are needed for your application. **Motor horsepower is based on maximum flow rate at 1500 psig discharge pressure. For pressures above 1500 psig or flows lower than the maximum consult the factory for horsepower required.